This Boho Layer Necklace is fabulous! A gorgeous, raw, gold plated chunk of agate druzy hangs from a delicate rosary gemstone necklace made from faceted labradorite. 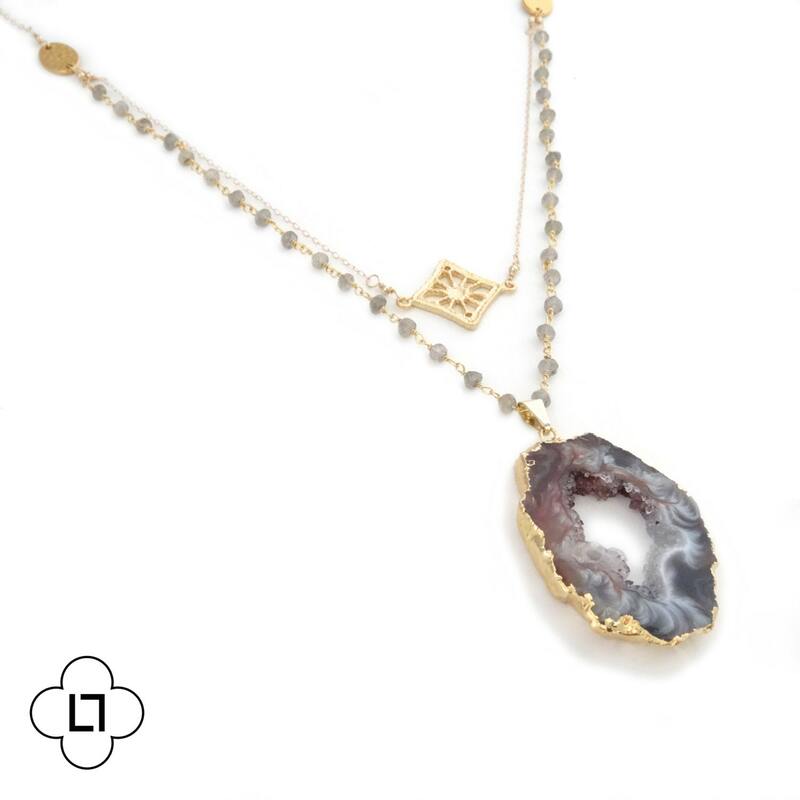 The extra detail where the labradorite meets the gold filled chain at the top makes this piece truly unique. 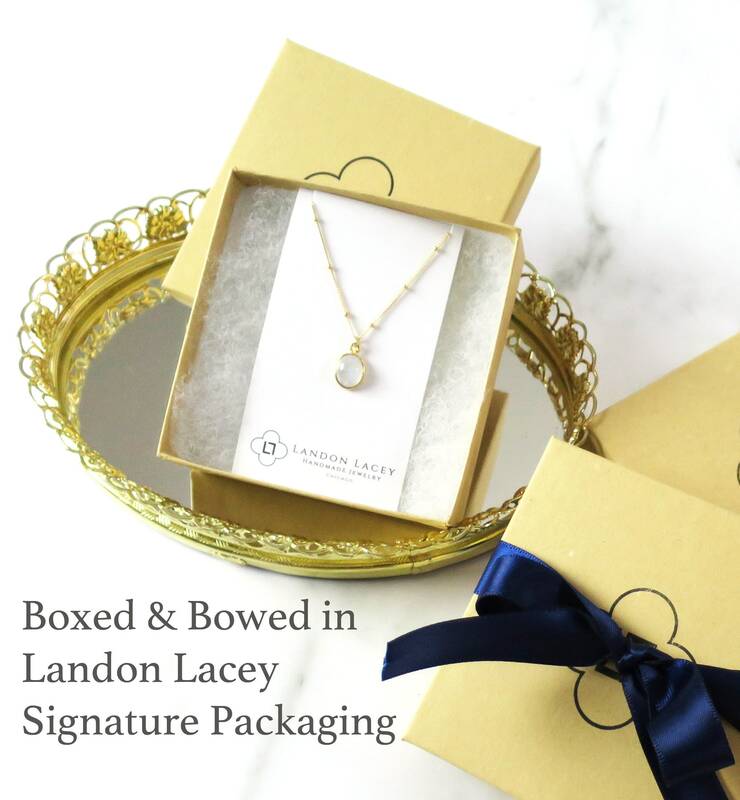 This necklace looks lovely alone, and even better layered with another gold necklace or two. Add some edge to a boho-chic outfit with a necklace that you can wear during any season. 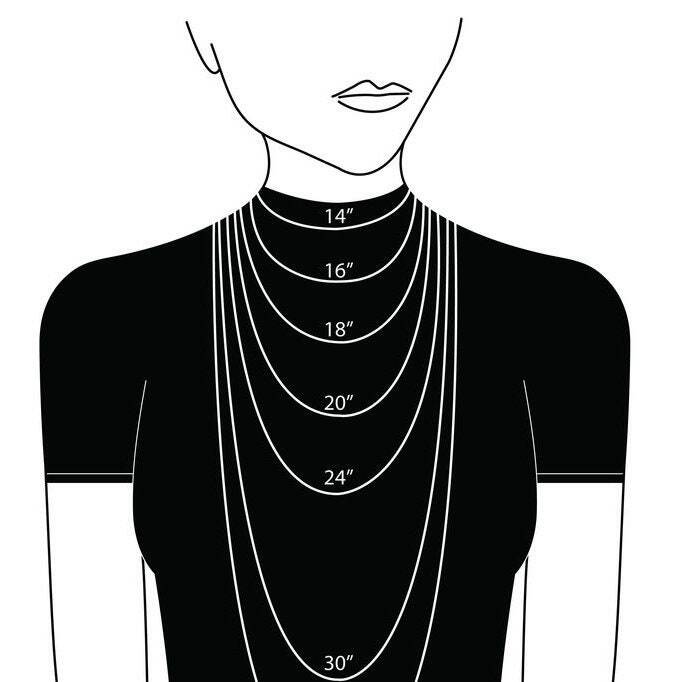 » The model is wearing this necklace at 24"
Beautiful product! Quick and super clear communication, worked with me on options to find exactly what I wanted. Came wrapped in a beautiful package, no detail spared! Will definitely recommend! I ordered two necklaces for my best friend's graduation present and they are both absolutely gorgeous, but the geode is especially stunning!! The seller was very responsive and very sweet when accommodating my requests. I was thrilled that the necklaces looked like the pictures. THANK YOU SO SO MUCH!!! I will definitely be ordering from you again! This necklace is just soooo beautiful. Even better in person than the picture! I'm so happy to have this piece! Thank you so much!